7digital is a leading digital media delivery company, providing comprehensive digital download services to a wide range of partners. 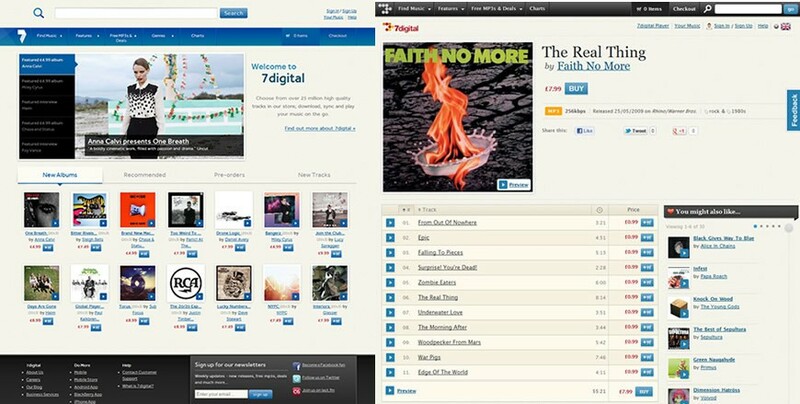 Best known to consumers for its online shop fronts, 7digital offers music downloads from a catalogue of over 18 million MP3s through over 20 country-specific websites. Sumobaby provided SEO consultancy shortly after the relaunch of 7digital’s consumer websites, reviewing implementation and editorial training, as well as initiating and implementing a schedule of improvements to increase traffic from search engines.